This is a nice unique theme with an awesome redesigned windows. I really like the colorful circle start orb and the butterfly button on the all the windows. 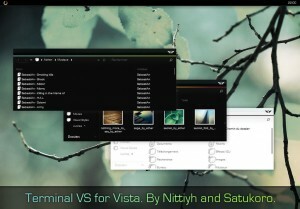 I think adding the different colors like black and white really makes this Vista theme stand out. The background is a little boring but that can be changed easily.